Pautrot was the creator of many fine small sculptures of birds showing their daily lives. This model of a Sparrow on a Branch is a rare model. The Sparrow is clinging to the Branch while he chirps. 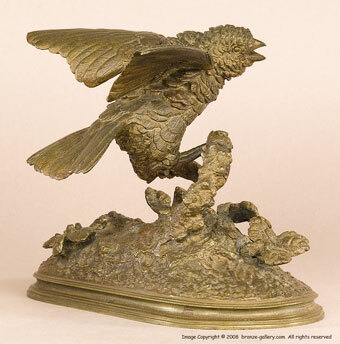 The bronze is finished in a rich brown patina and has sharp details to the Sparrow's feathers and the plants on the base are well defined. 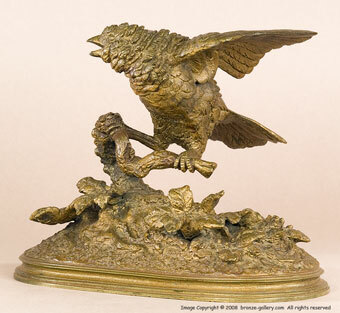 A nice bronze for the collector's cabinet.